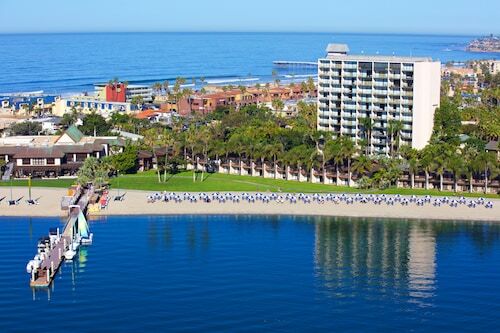 Mingle with eccentric locals at bohemian beaches, soak up the sun on a Jet Ski and fish from marshy islands at San Diego’s premier water park. 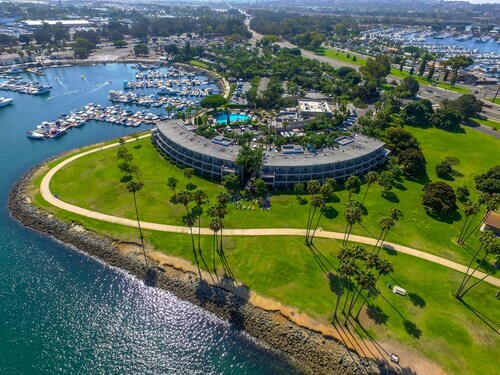 Spend summer days enjoying the calm waters and gorgeous scenes of Mission Bay, a saltwater lagoon just north of downtown San Diego. This 4,200-acre (1,700-hectare) bay features pristine beaches, water sports for all ages and park attractions that bring summer to life. Get familiar with Mission Bay on a walk, skate or bike ride along 27 miles (43 kilometers) of paths that winds around the water. This natural inlet, which has a number of green islands and peninsulas, was developed in the 1940s to be a recreational water park. Enhance your tan at one of the beaches along the sandy shoreline. Head to Pacific Beach to surf and mingle with San Diego’s youthful crowd. Play volleyball at Crown Point. Rent a boat to waterski in the bay or cruise out into the ocean. Explore the bay on a Jet Ski tour. When conditions are suitable, kitesurf or sail from the Mission Bay Yacht Club. Otherwise, rent a canoe, paddleboard or kayak from the Mission Bay Aquatic Center. Take an adventure to Fiesta Island and stay to watch the stars come out. Spot birds nesting around the bay or fish for spotted bass. Fishing is permitted throughout Mission Bay with a California license. Cool off with a family trip to nearby SeaWorld, where you’ll witness graceful bottlenose dolphins and sea lions swimming. Find more fun at Belmont Park where you can feel the rush of sea air from a roller coaster. For relaxing fun after dark, play a round of 18 holes at the Mission Bay Golf Course, open at night under lights. As evening falls, head to cliffs for the best views of the changing sunset sky. Alternatively, light a beach bonfire at one of several designated fire pits and roast s’mores as the day ends. Afterward, head to one of many casual bars along the Pacific Beach promenade and dance all night in shorts and flip-flops. Mission Bay is a short drive from downtown San Diego. Access the area easily via public bus routes. The world of LEGO® comes to life at this playground for the imagination. Great location. Friendly helpful staff. Loved the live music at the pool everyday. It was really good and there so much places to explore and enjoy. All the staff are very friendly and very helpful especially when we need to do our laundry late at night and we don’t have coins to use. Thank you so much! The rooms are beautiful and very comfortable. The staff is very friendly and helpful. 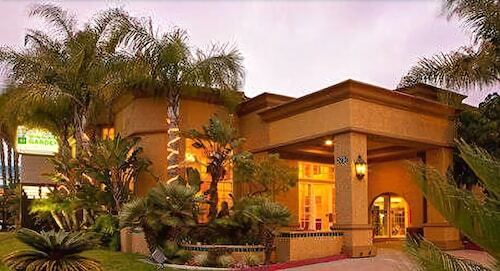 It was close to the beach and close to many activities that are available in San Diego. Friendly front desk staff. Wasn’t overly comfortable with the location as a solo traveler arriving later at night. Beautiful property full of gorgeous plants. Great view and wonderful beach. It is a beautiful setting and the staff was accommodating. Beautiful Bayfront 3 Bedroom House! 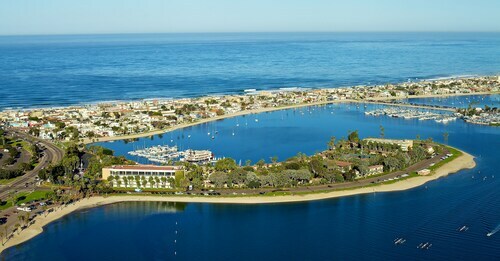 Located in Pacific Beach, this vacation home is within 1 mi (2 km) of Mission Bay Park and Mission Bay. SeaWorld and Pacific Beach Park are also within 2 mi (3 km).